Rejecting reports that it considered conducting assembly polls in 11 states along with the next Lok Sabha election, the BJP on Tuesday asserted that it was in favour of holding simultaneous elections with consensus among different stakeholders and in accordance with law. Chief Election Commissioner OP Rawat however, clarified that simultaneous elections are not possible without a legal framework as any extension or curtailment of the term of assemblies will require a constitutional amendment. “If the term of some state assemblies needs to be curtailed or extended, then a constitutional amendment will be required. Logistics arrangements with regard to 100 per cent availability of VVPATs (paper trail machines) will be a constraint,” he told reporters. BJP spokesperson Sambit Patra rejected media reports that the party was mulling having elections in 11 states together with the Lok Sabha polls as false, and said that any such “misplaced concept should not find place anywhere”. He also referred to Amit Shah’s letter to the Law Commission on Monday in which he had called upon talking with all stakeholders to evolve a consensus for holding simultaneous assembly and Lok Sabha polls. The BJP wants it to be done in accordance with law and with consensus, Patra said. 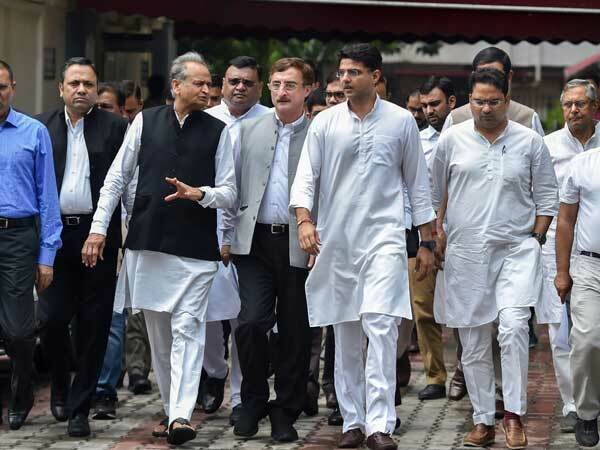 Earlier Congress general secretary Ashok Gehlot told a press conference that postponing the upcoming state assembly elections and conducting these with Lok Sabha polls in 2019 is “not possible” under the Constitution or the law. He said elections in Mizoram, Rajasthan, Chhattisgarh and Madhya Pradesh will have to be conducted before the terms of these assemblies end. “There is only one way of holding simultaneous elections. The prime minister should dissolve the Lok Sabha and hold polls along with the four state assembly elections. The Congress will welcome it. We are prepared to fight the BJP and eliminate it,” he said. The Congress alleged that the BJP’s intentions behind the ‘one nation, one election’ debate were not clean. “If they were serious, they would have called all political parties for a meeting, discussed ways and means of implementing a proposal and debated solutions for cases where the Lok Sabha or state assemblies are dissolved before their term. But the government did not do any such thing,” he said.